Robert Bacal has written numerous books and articles on conflict, and related topics such as communication and defusing hostile and difficult people. 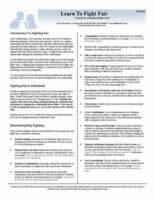 On these pages, you will find links to his articles and book chapters to help you improve your ability to understand and deal with conflict at home and at work. 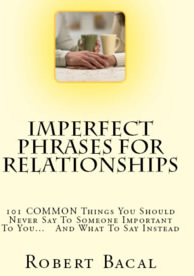 This page contains articles related specifically to conflict and communication. 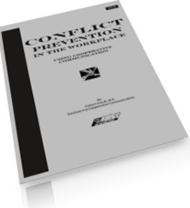 There are a number of pages to this section, and a wide range of subject matter related to conflict management, conflict prevention, and communication as it relates to conflict. This three part article maps out four steps to follow in dealing with interpersonal conflict at work or at home. Following the model will help you reduce the emotions attached to the conflict, and help you move to solving the conflict quickly and constructively. How can you tell if something someone says means what it sounds like, is really meaningless or has a nasty hidden agenda behind it? Check out this article on meaningless utterances. Most people don't think about the relationship between corporate communication within the organization and conflict. The truth is that poor internal communication results in employees and managers that tend to pull in different directions. When goals and functions are confused, conflict results. You may not "mean" to do it, but it's easy to insinuate about another person. Insinuation lives "below the surface" of what is said, and if you want to reduce conflict in your life, you need to learn to eliminate it completely.